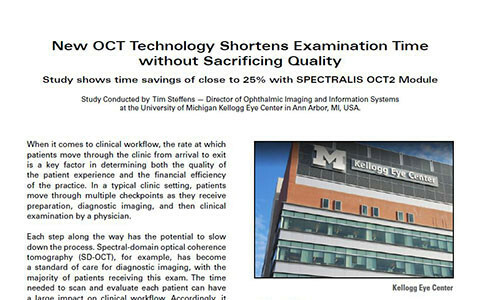 Study shows time savings of close to 25% with SPECTRALIS OCT2 Module. 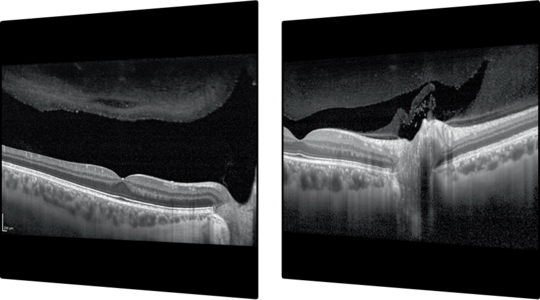 Study Conducted by Tim Steffens, University of Michigan Kellogg Eye Center in Ann Arbor, MI, USA. 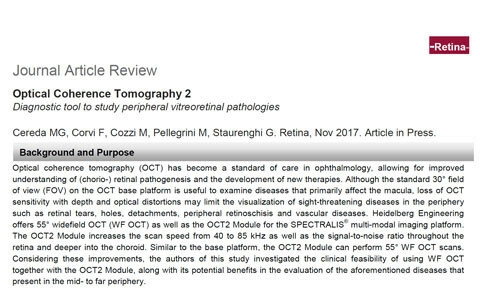 The authors of this study investigated the clinical feasibility of using WF OCT together with the OCT2 Module, along with its potential benefits in the evaluation of peripheral vitreoretinal pathologies.